My choices will reflect the quality of the theme, along with several key characteristics. How well they’ve sold, their ratings, purchaser feedback, and included features. You deserve the best, after all. Often, I’ll tell my readers to make a mental checklist of the kind of things they want to see in their WordPress theme. However, because of the broad spectrum I’m covering, this isn’t necessary. Rather, take a load off and enjoy as I provide you a roster of fantastic choices. Who knows, you might find yourself to compelled to make a website after all is said and done. Once again, these cover no specific category, so there’s something for everyone. 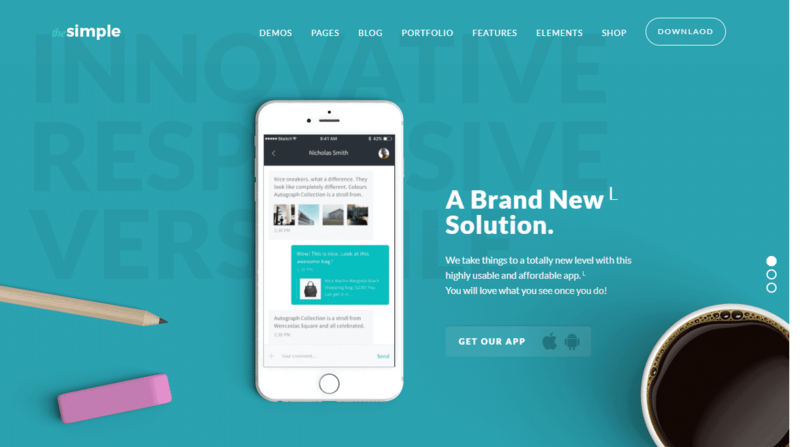 Coming in at Number 30, this magnificent multi-purpose WordPress themes with so many professional features it makes my head spin. This is an ideal choice for businesses looking to create online commerce shops. Every feature and plugin is designed for e-selling, supplying you with a variety of powerful demos to get things running fast. Once fully ingrained into your website, expect a downpour of helpful tools to make the web shop experience even better. 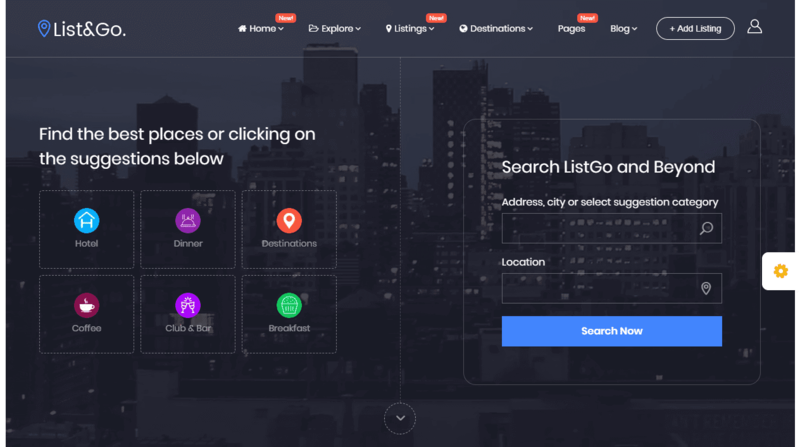 There are dozens of ways to customize listings, price items based on different currencies, and install with a single click. 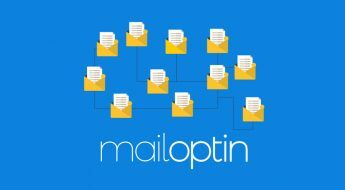 While it’s only just scraped into our Top 30, EmailShop still managed to sell over 800 copies in 2017 which is an amazing number considering how competitive the WordPress theme market is these days. Those who have waited for a pearl focused WordPress theme will have to sit tight a while longer. 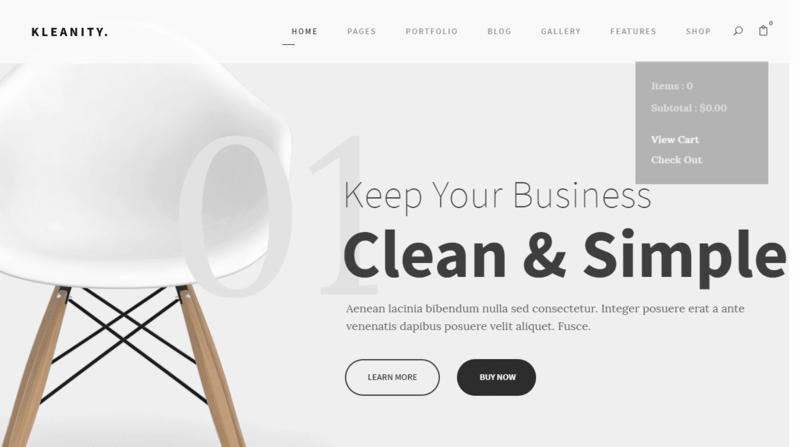 Those who want a powerful, ultra-fast multipurpose WordPress theme? Pearl WP is for you. It’s reached immense popularity this year for a reason, boosting SEO and some of the fastest web page performance in the west. The amazing thing? This theme was released only a few months ago at the time of this writing (August 2017) and it’s quickly become a gang-buster of a choice. Likely has to do with its custom page creation tools, sliders, and a gigantic library of modules for the ultimate website customization. Pearl sold in excess of 800 copies in 2017. Warriors of the word, unite! 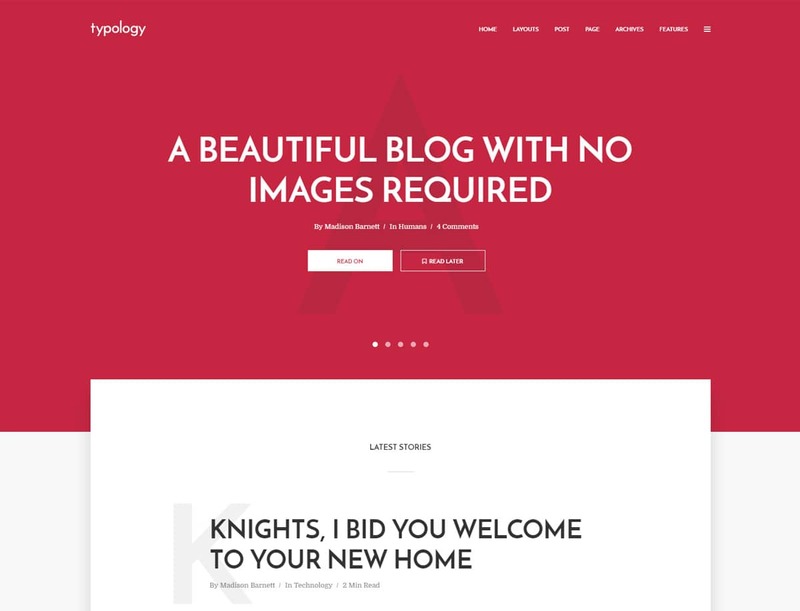 Typology shows that you don’t always need images and ad-frills to have a clean, premium WordPress website. Typology is straight to the point, a mobile friendly, highly responsive theme that collects blog content in a neat, single page. If you want more function and less extra, by all means, pick up this popular new WordPress theme for authors and writers. It’s quite amazing that such a simple theme sold over 800 copies in 2017 and goes to show that simple themes can still do very well when the quality is there. Those with the eye of a shutterbug no doubt seek quality homes for their thousands of quality pictures. But often it’s not good enough just to toss them on a Facebook gallery. Avalon wants to give those sepia-toned cat pictures a premium palace, littered with features to show the world you’ve got the artist’s touch. 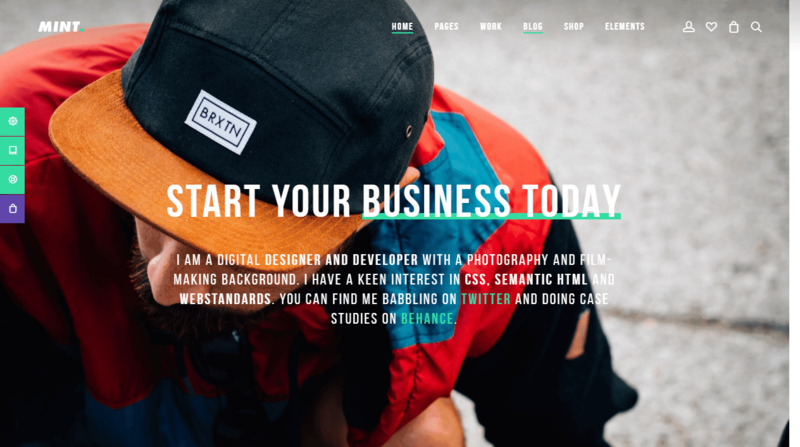 No matter how you want to present those digital photos, this WordPress theme has several templates rife with ways to show off your amazing work. Avalon sold in excess of 800 copies in 2017. For some, SEO is the crucible which determines the success (or failure) of their website. 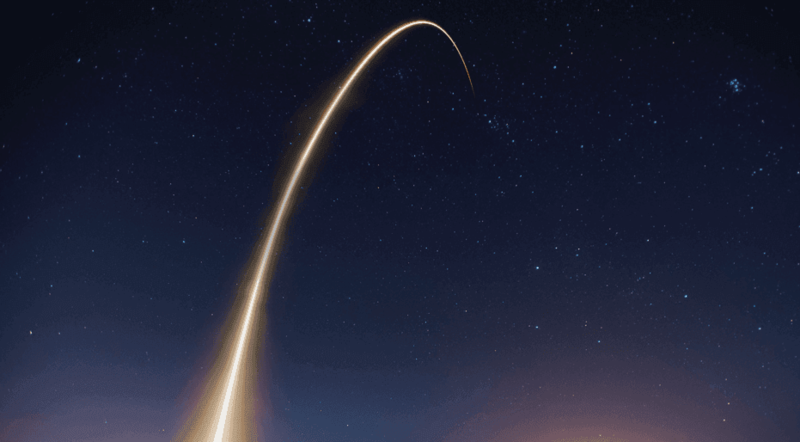 If you want to accelerate and better your chances in this constantly evolving, competitive world, why not go with something that’s proven quality? This dynamic, engaging platform is suitable for those looking to accelerate SEO performance, whether for their own gain or as the middleman for another company. Got a thousand ideas but not the execution? It’s okay, MF is here for you. 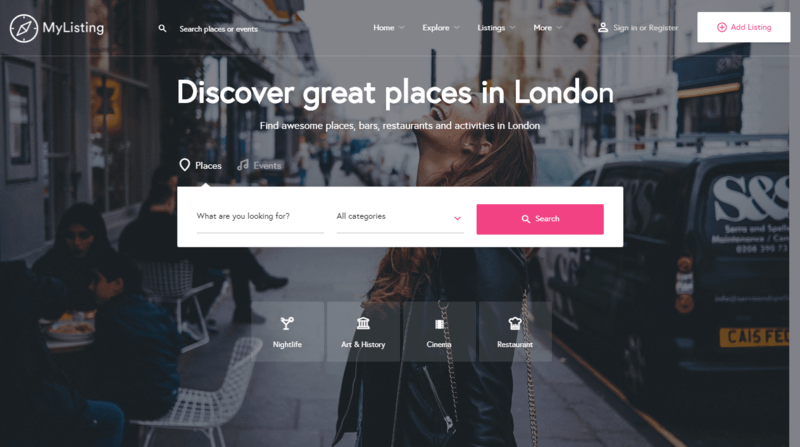 Multipurpose themes are popular for a lot of reasons, one of the central reasons their ability to fit just about any need. MF is no exception, consistently updating with great features like additional demos and templates. 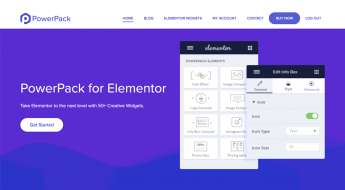 Expect this one to grant you dozens of options, while giving you tools for success such as Revolution Slider and Visual Composer. MF sold over 800 copies in 2017. Wyzi fits a niche category: business directories. As bland as that sounds, numerous companies rely on discovery through online means to help their bottom line. 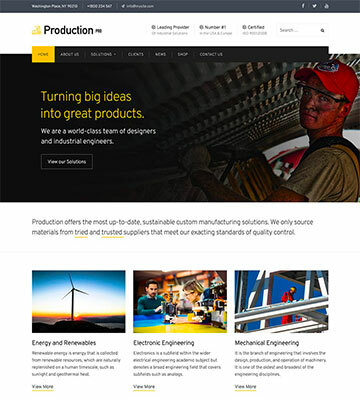 So, it’s great to have quality WordPress themes like this fill the gap. However, Wyzi has some excellent pro-business features which help put it so far up as one of the year’s most beloved themes. 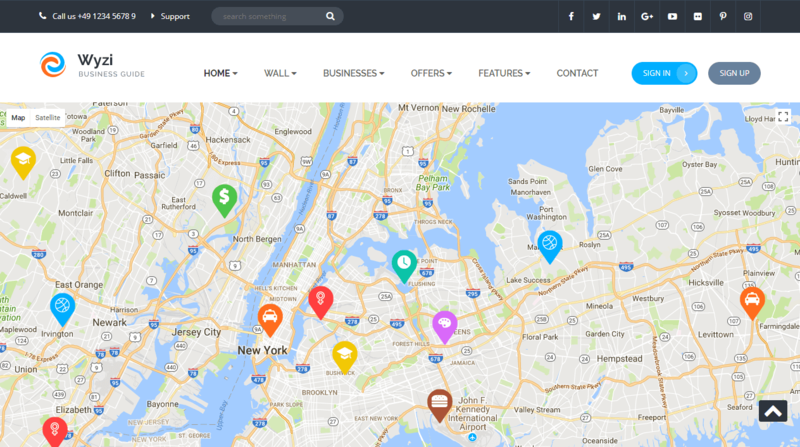 With WooCommerce integration, users can book appointments with companies while taking advantage of the seamless map integration. This means that, as the owner, you can make extra income! That always sweetens the deal. Of the directory themes out there, this is your crown jewel. Wyzi sold over 800 copies so far in 2017. Real estate is another one of those dry categories you might not expect a lot of flash and sizzle for, but Home Villas has something to say about that. Among the hundreds available, this one stands above, despite being released earlier in the year. 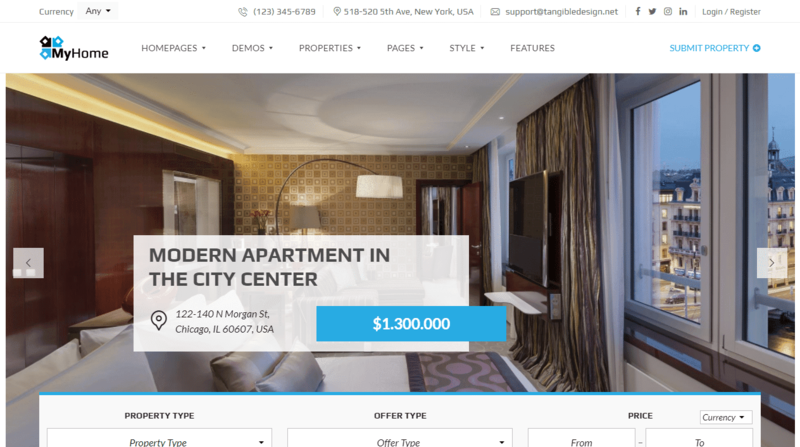 That’s because it’s both a quality, high-performance WordPress theme fit for real estate agencies, mixed with features that make their job easier. For instance, purchasers can manage team profiles from their modules, or set advanced filter options when customers look for potential homes. You’re also granted over eighteen demos, like moving into a fresh, ritzy neighborhood. Home Villas sold over 800 copies in 2017 which is amazing for a new niche theme. 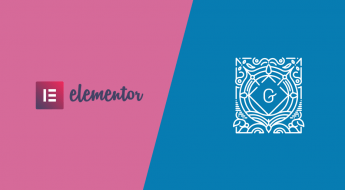 No, it’s not an undiscovered element yet to find its way on the periodic table, it’s another multi-purpose WordPress theme. Despite having existed for less than a year, it’s already a powerhouse in both ratings and sales. This is thanks to its demos, features, and great design, giving you all the assets for success. 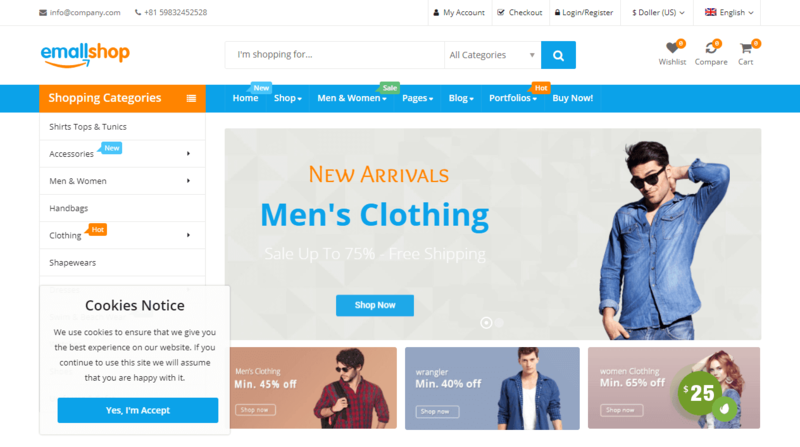 Among its one-click to install demos, you can also rely on WooCommerce and Visual Composer for simple website construction. Wanium sold over 900 copies in 2017. 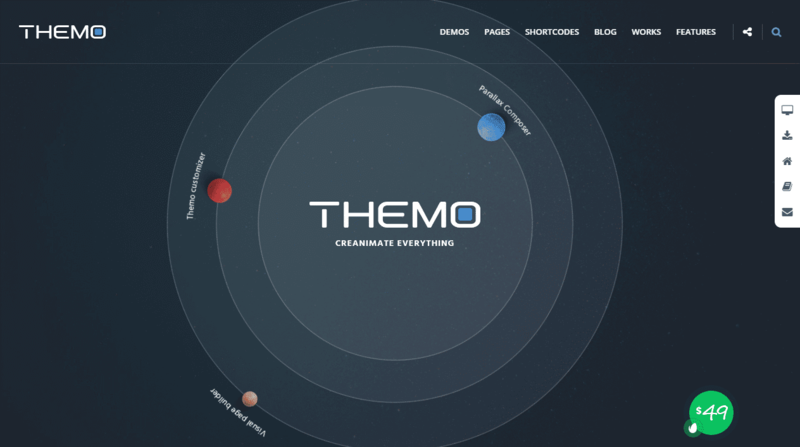 Themo sounds like a little robot buddy who comes along and helps you build a website. Sadly, there are no cute robot companions here with Themo. 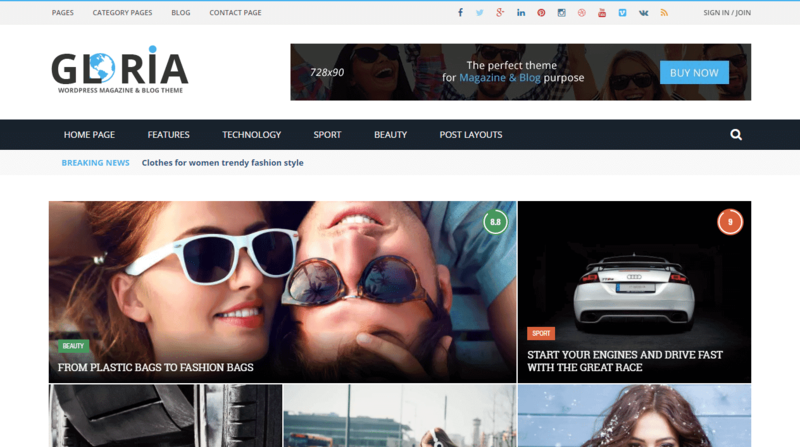 But, there is an excellent WordPress theme worth your time. 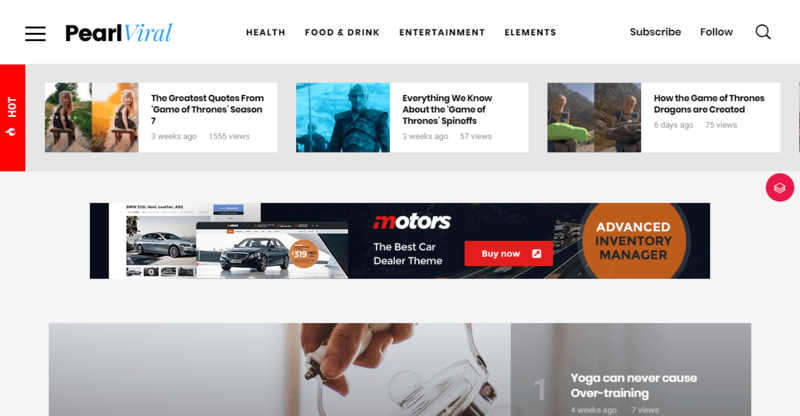 Themo is a multi-purpose WordPress theme for creative purposes that bases its framework on parallax design, meaning you can get some amazing looking homepages. 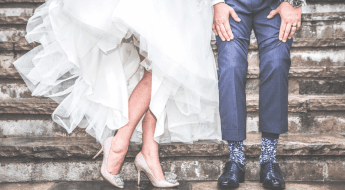 It comes with various templates and demos with all sorts of ways to mix them up, and you have virtually unlimited options in how you customize. So if you like a freeform design, check it out. Sales wise, it’s sold about 930 copies and climbing. 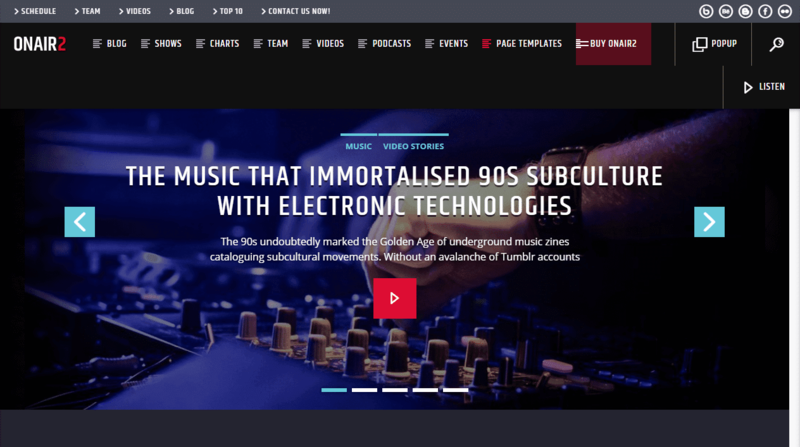 Here’s a nice catch, an impressively rated music-based WordPress theme designed for both providers of sound and organizers. Lucille has several starting templates which fit a variety of styles, and each can be customized how you see fit. Like many of these top choices, it comes with Revolution Slider and Visual Composer to accomplish this. As for musician features, purchasers can set events, list albums, and do everything to promote local talent. 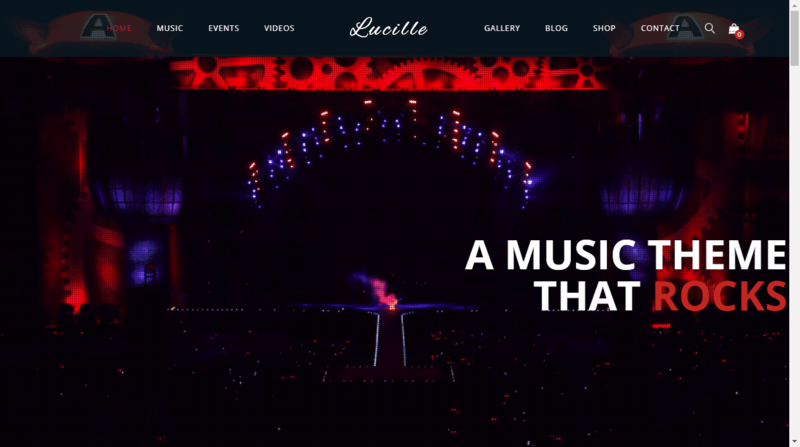 Lucille is the first theme in our top 30 to break the massive 1,000+ sales in 2017. I admit I was disappointed when I found out this wasn’t a theme solely for the purpose of selling wood. After all, there’s got to be someone out there with vast stocks of plywood, right? 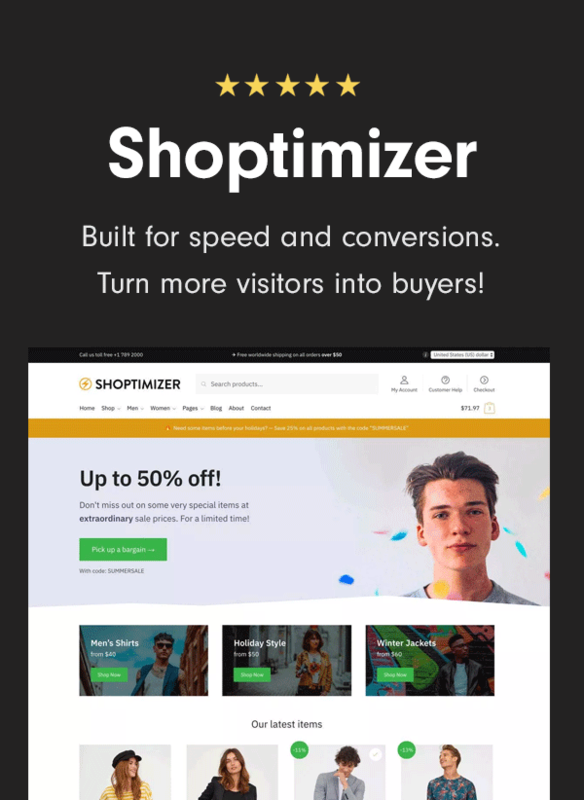 Turns out though, while not predominately for the exclusive sale of lumber Woodmart is actually a WooCommerce theme fit for any business who wants to sell online. So technically, wood sellers still have a website they can make just for that. This is also an easy addition to the list. Woodmart was only released several months ago from the time of this posting, and it’s already one of the most popular themes of the year. With a clean design and numerous demos, it’s easy to see why. Woodmart is close to 1100 sales thus far. Directory websites are a bit more popular than you give them credit for, right? 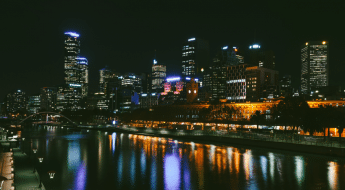 MyListing doesn’t trail too far behind as one of the year’s hottest themes, and this flashy new release has only been around for a couple of months at the time of this posting. It’s easy to see why though. With its included customization tools and demos, purchasers can create listings for virtually anything, from car products to canned goods you forgot about. Don’t just take my word for it either, check out the demos to see what this theme is capable of. MyListing has also broken an impressive 1100 sale threshold! Need a super professional theme as a radio host? 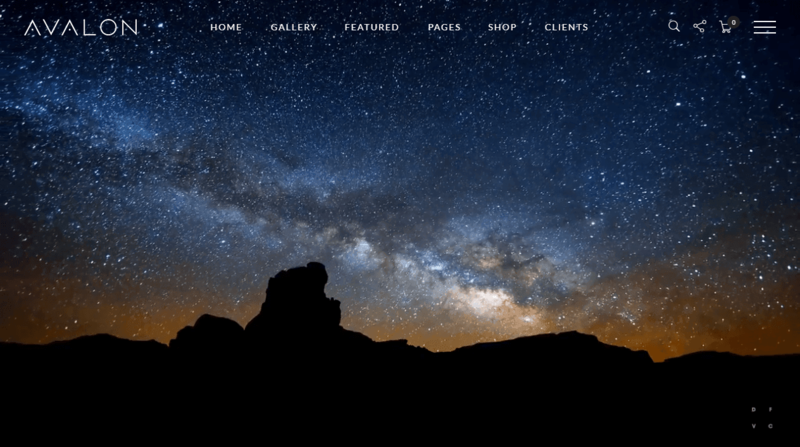 Well, the aptly titled WordPress theme is an ideal choice. Trying to explain what this theme comes included with, along with all its capabilities, would take too darn long. But I can say it is incredibly designed with some amazing assets for professional hosts. Everything from music players, organizers, website kit tools, news integration, and more come along for the ride. As it stands, Onair2 has succesfuly sold over 1000 digital copies. Content and written articles are a valuable commodity if we’re anything to go by. As such, Gloria is perfect for authors online who create various written works. Whether that’s news, pop culture, opinion pieces, or anything else you can think of, Gloria is a suitable theme. The modular, organized layout keeps things compact, perfect for mobile devices and quick reading, so that’s a huge plus. You can also drag-and-drop when designing pages, and as someone who knows their way around a word, but not code, that’s another positive. Good for online editorials and typed content. Gloria has nearly sold 1100 copies, another impressive figure! 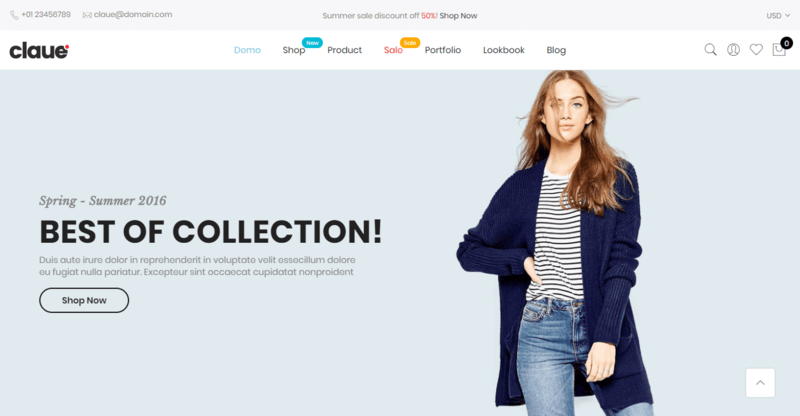 Claue is a modern and slickly designed WordPress theme fit for web shops who prefer a bit of minimalism over extra frills. If you’re a business who wants to get the product or special to a potential consumer that much faster, this is a good pick. The quality choice in demos and how easy they are to customize means this one skyrocketed in popularity over the year. It’s easy to see why from the demos too since there are all sorts of ways you can customize layouts and highlight product details. As of now, Claue has broached over 1100 sales. How far will it get? 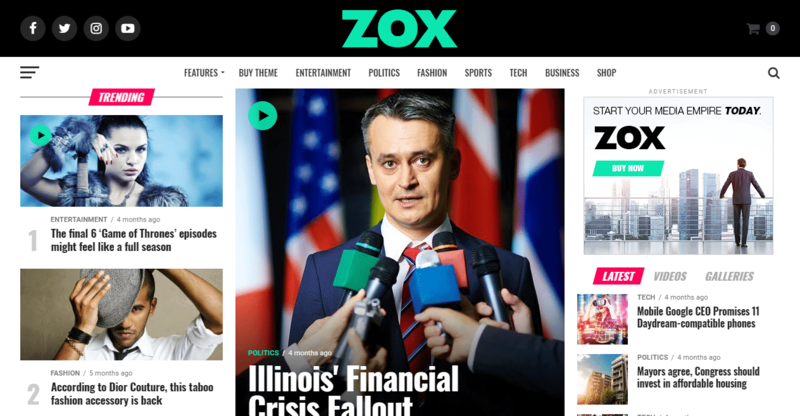 Line one of Zox News is “start your media empire today”, and if that doesn’t get you excited, hopefully, its features will. Today, it’s incredibly easy to become another voice amidst all the other info sources, so why not begin with the best? While I hope you will pursue this info with integrity and neutrality, it’s certainly invigorating to create your own little workshop of news and updates, just as you want it. 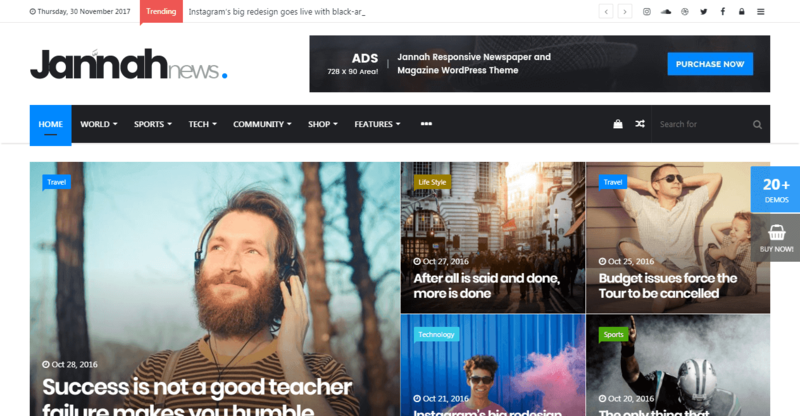 This theme burst into popularity because it’s got every feature and tool a creator of web news needs. Dynamic sliders with SEO optimization mixed in with various page layout gives you tools for success, allowing your company to become another trusted source of info. As far as newsworthy figures, Zox has sold 1150 digital copies! Mint is as refreshing as a complimentary confectionary by your favorite hotel. Maybe that was the idea, to compliment you – the purchaser – with designs, templates, and features. This creative WordPress theme is multi-purpose, providing you with different demos to start your online journey. 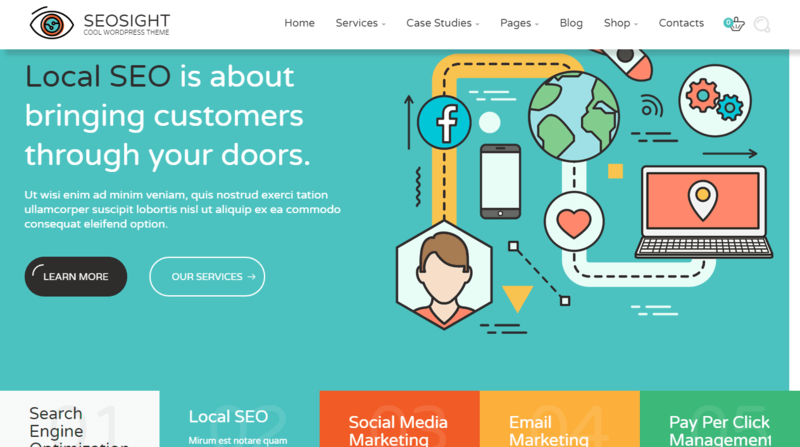 Each design is modular, responsive, and highly customizable. You get that thanks to the Visual Composer plugin. 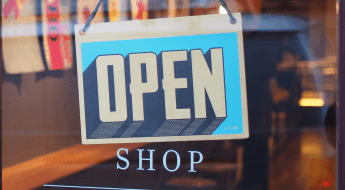 And, if you’re looking to expand your page into a webstore, WooCommerce is featured here. Sometimes it’s the simple stuff that works, and Mint’s quite popular because of that. Mint is also championing 1100 sales, continuing to grow. 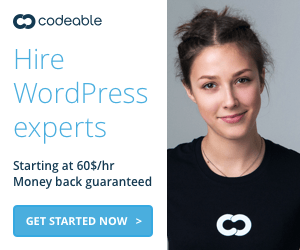 Need more multi-purpose WordPress themes? That’s where The Simple comes in, by making it, well, simple. This extremely popular theme has no main speciality. 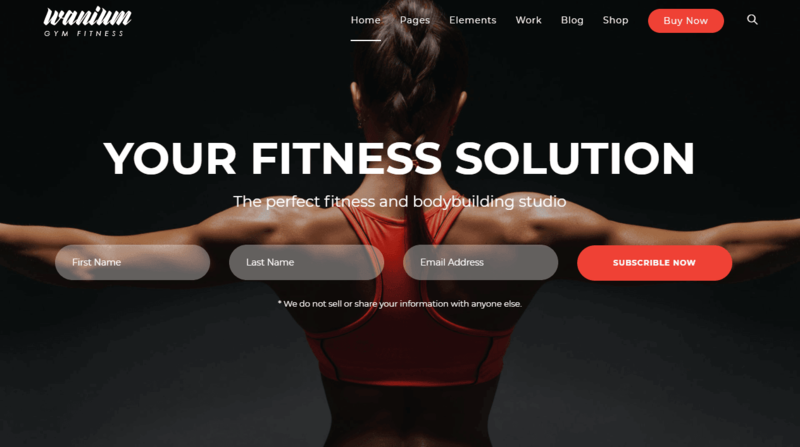 Instead, it comes with over thirty starting demos which you can customize with Revolution Slider and Visual Composer, fitting it to any design you need. That means it’s great for everyone, professional or personal. Easy to see why it climbed the ranks quickly this year! The Simple is going strong, having made nearly 1150 impressive sales! Directory themes are quite popular, considering this is my third on the list. And for good reason, ListGo, an extremely popular theme, catches the eye with video backgrounds and a unique, modern design. Aside from having lots of functions such as payment support, event calendars, and captcha integration, it performs well on mobile devices. Despite haven’t existed for a brief period, it’s one you don’t want to miss out on. Put this in a list, but this theme has gone over 1200 sales! MyHome exists as a polished, industry standard theme for anyone in the real estate industry. 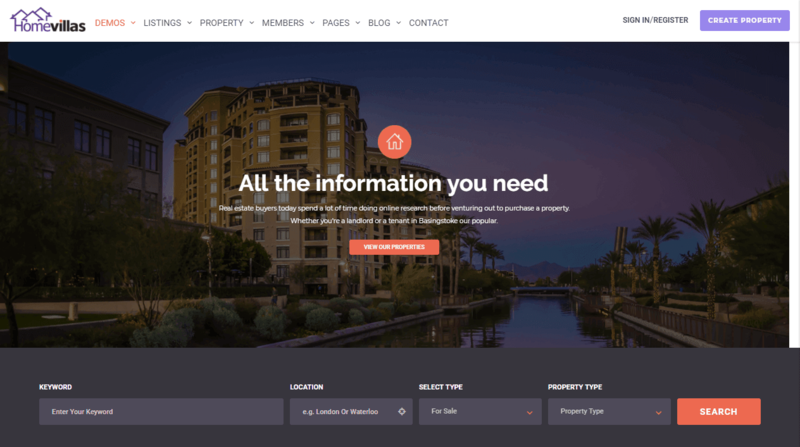 Doesn’t matter if you’re an agent, a directory, or even someone who invests in homes, this website is for you. Along with its great tools and simple customization options, it comes with several demos, which can be mixed together. Great filter options are also part of the package, allowing visitors to select specifically what they need. Good choice all around. MyHome houses impressive sales figures, having sold over 1200 so far! Some prefer their websites and workspace to be as clean and uncluttered as possible. That’s the idea behind Kleanity, another super popular theme for this year. Kleanity can be used for roughly anything and has an easy to use customization tool. Everything runs great on devices, and the stark, white aesthetic compliments the spacious design. Kleanity also impresses by having sold over 1200 copies! Travel Tour sits ahead its other themes, and that’s because it’s littered with great features for booking agencies. For professionals, you’ve got everything you need to set clients up with their dream vacation, including ways to purchase online, set updates, and plan tour routes. Travel Tour takes it to a new level, selling over 1400 digital copies. No, it’s not a WordPress theme filled with spooky ghosts, I promise. 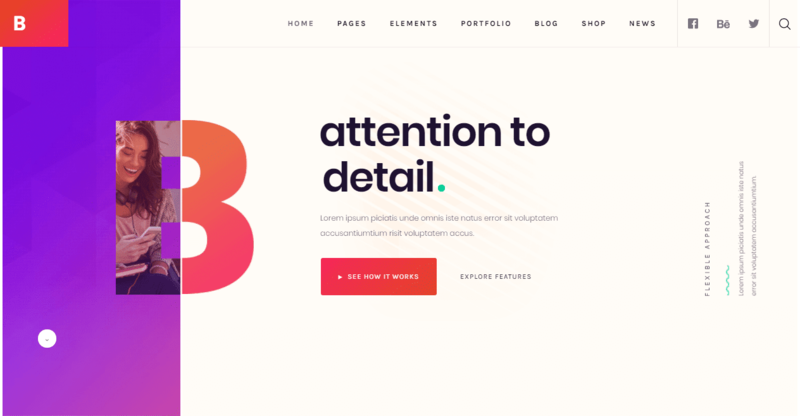 Instead, Boo is a high-performance multipurpose theme with lots of new updates and features suitable for anyone looking to build their dream website. Starting out, it has over 40 templates and a variety of demos, each easy to modify. New updates have also increased its performance, and you can expect it perform well on mobile devices. Another excellent popular choice for the year. Here’s a scary fact, Boo has almost sold 1700 copies! Amazing! 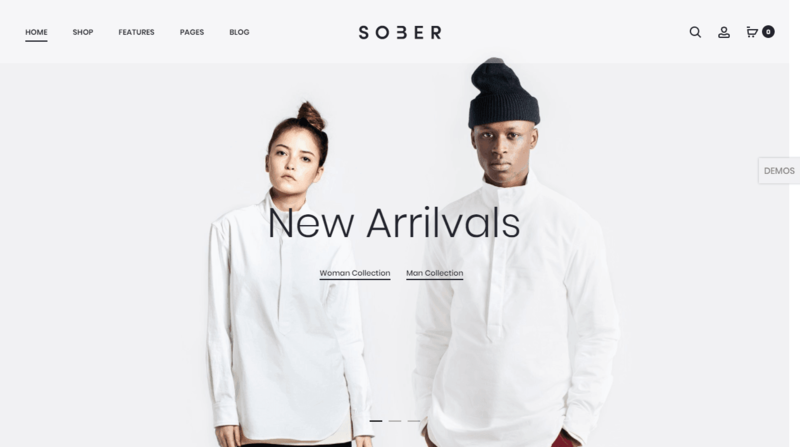 Sober is a top-rated theme that is focused on WooCommerce integration. 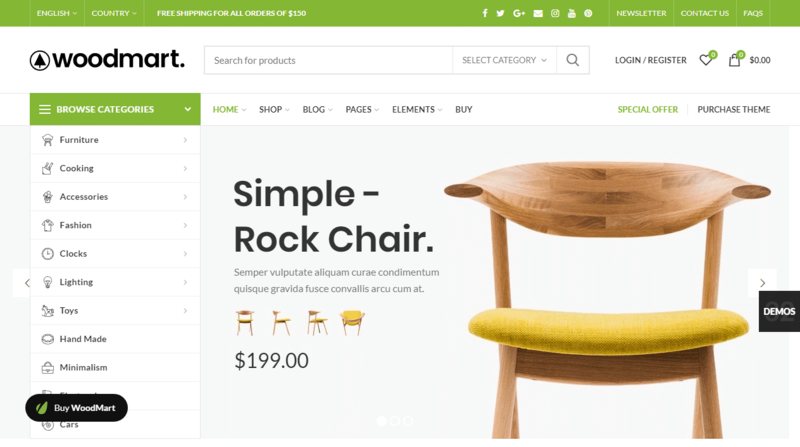 This is good for those who want to build a quality e-store with all the flexibility and tools they can expect from a professional theme. Sober is also another “less is more” type of theme in terms of visual design. The modular format looks great on mobile devices, increasing performance as well. Of course, thanks to Visual Composer and Revolution Slider, you can modify pages however you want. Sober also hits you with this sobering fact: it’s sold over 1700 times! Another ideal theme for those who like to report on various subjects. Jannah News is flexible, allow you to create content for any subject you’d like, in a blog/news-style format. One of the big features it boasts is its ability to retain user data if you’re transitioning from another theme. So, the temptation to switch is always there. It looks great and has dozens of amazing features too, which you can see by checking out the demo. Jannah News also holds an incredible sales count for the year, with over 1900 copies bought! Stack edged out as a personal choice. The theme right above in popularity, ListingPro, was another directory based theme, so I figured something a little different could use the spotlight instead of another directory theme. 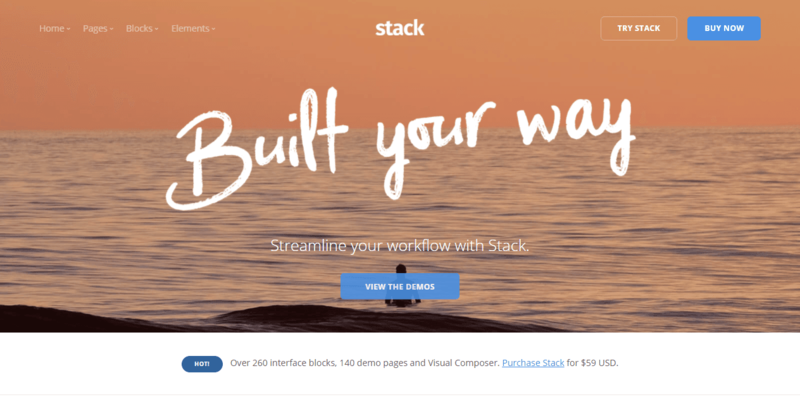 Stack, on the other hand, is a multi-purpose WordPress theme with high performance and easy ways to customize. Don’t expect to need coding knowledge, it’s easy as dragging a button. 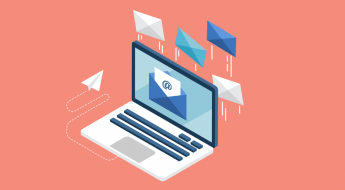 You can come up with some truly dazzling concepts and websites, as this rising start accelerates into newfound popularity. This them also does the unthinkable, selling over 3100 copies in only a few months! 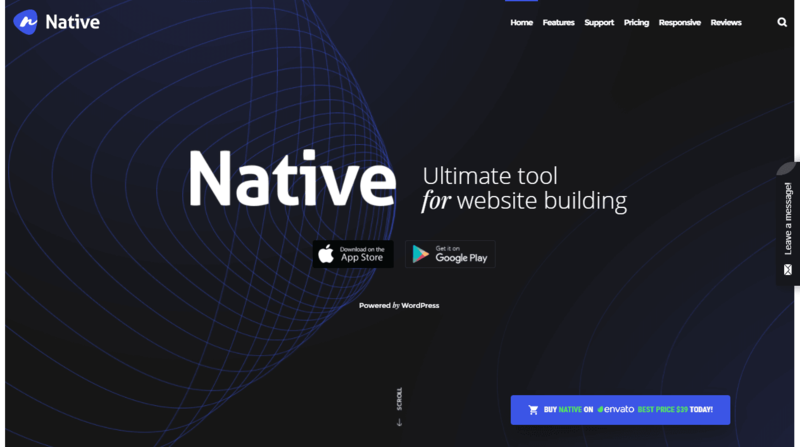 Native is a popular WordPress theme suitable for all businesses. That’s because it looks darn good when browsing through it, full of unique animations, visuals, and layout styles. Demos are also part of the package, getting you started fast, for nearly any corporate category. It’s great for startups too, or companies just now entering the world of e-business. Native has also sold over 2300 copies, a huge figure for the year! 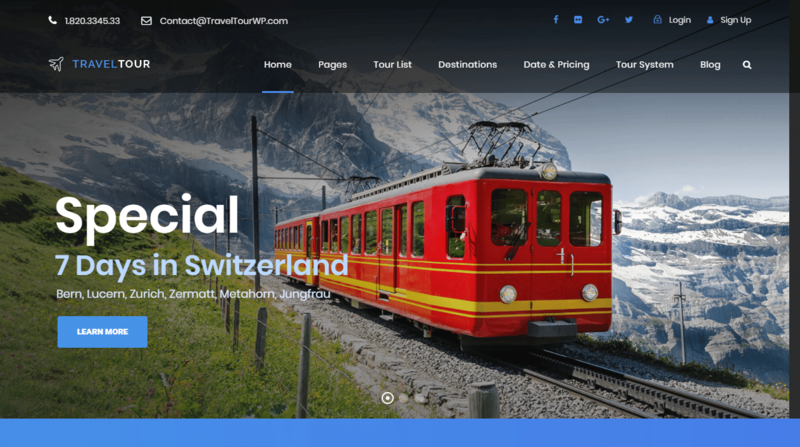 The most popular WordPress theme of 2017? Drumroll please. . . well, you don’t need it, you already know. The Ark stands mountains above all other themes and competitors for the year, selling over five thousand units and maintaining perfect feedback from every reviewer. 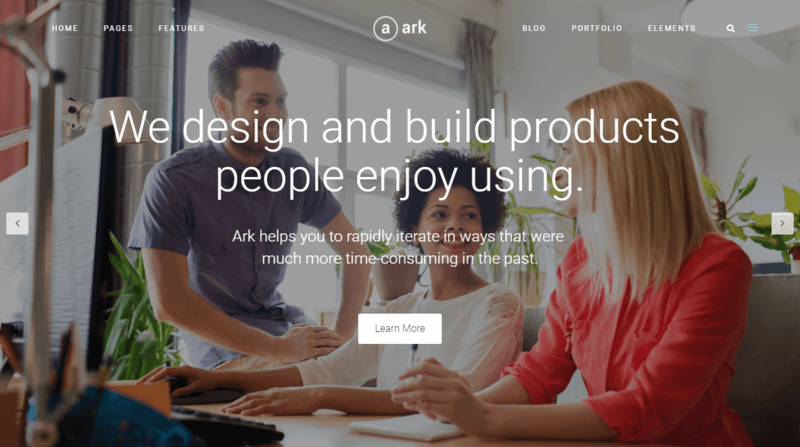 The Ark, I admit, might be my favorite, as it’s a theme perfect for freelancers. Having your own independent web space with SEO optimization and incredible support can make all the difference in a super competitive environment. Hat’s off to the team behind it, it easily is number one for 2017. As for sales, it levels the competition, with over 6300 copies sold this year! I just wanted to thank you for your wonderful review of our Ark WordPress Theme. We are really really happy, that you like it!